The Fraser Island Defenders Organization was founded in January 1971 with the object of ensuring “the wisest use of the natural resources of Fraser Island”. FIDO has never wavered in its pursuit of that objective. 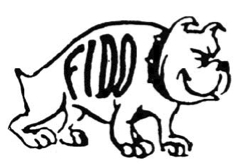 In pursuing that objective FIDO led the campaign that saw the abandonment of sandmining on Fraser Island on 31 December 1976. It also saw the end of logging in December 1991 and it saw Fraser Island inscribed on the World Heritage List in 1992. FIDO, to actively protect the natural values, has actively participated in shaping a Management Plan for Fraser Island and serving on the Community Advisory Committee and collaborating with government and non-government agencies through the Fraser Island Natural Integrity Alliance (FINIA).